The Nicholas County Boys Basketball team is having a rough season so far. They started off with a scrimmage against Greenbrier East and Sissonville on November 18th at home. They won one and lost one with Greenbrier East, and they won both quarters against Sissonville. They had their first regular season game on December 8th against Nitro at home, and they took the court with confidence from their pre-season prep. The Grizzlies lost against Nitro with a score of 69-75. The team moved on to prepare for the game against Bridgeport on December 12th. They ended up losing against Bridgeport with a score of 67-70. 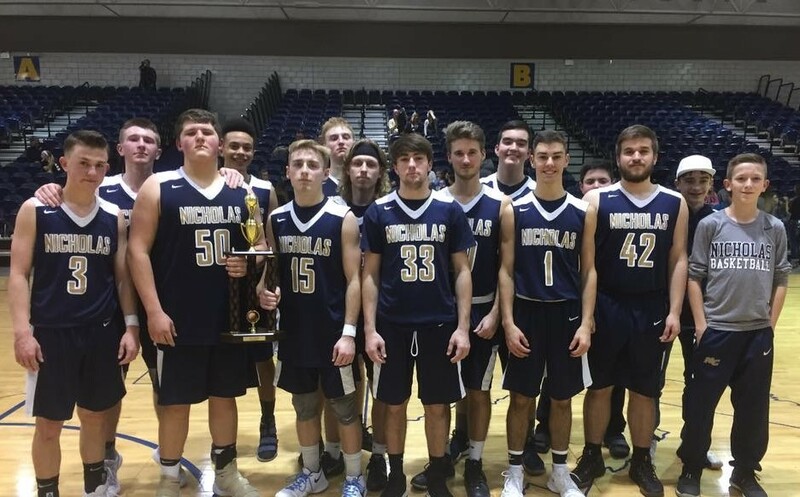 The Grizzlies continued to persevere and put up a good fight against Roane County on December 15th, but they went home with another loss of 62-67. Their next game was December 19th against Oak Hill where they added to their record another loss with a score of 61-77. The Nicholas Grizzlies will have another game on December 27th against Gilmer County.